SK-88-503-90B shown. Click here to see a wide selection of our products. The Mini Video Dome has a cast aluminum housing, a flashing red LED, and simple mounting with two available bracket configurations. The Video Dome has a white base and a dark bronze acrylic dome. 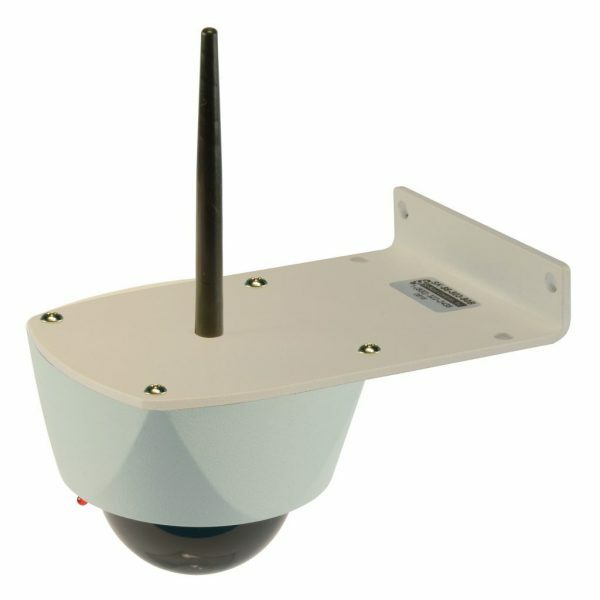 The Mini Video Dome is 3"W x 4-3/4"L x 5-1/4" H (with Antenna) The Video Dome has a 6" diameter base, a 4" diameter dome and is 5" high.